Film, and Discover the Life and Motivations of the World’s Street Artists! 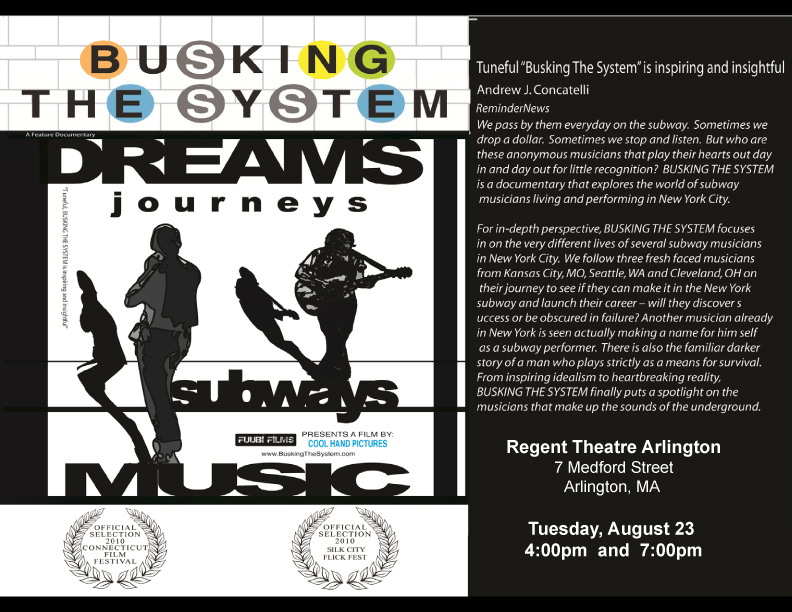 “Busking the System” follows the real-life journeys of three talented young singer/songwriter guitarists who come from around the U.S. to pursue their passion as “buskers” – or street performers – in the bustling New York City subway system. Film by Connecticut director/producer Justin Michael Morales, Coolhand Pictures http://www.coolhandpictures.com. In 2003 Berger filed a lawsuit, complaining that the rules were unconstitutional. He was granted summary judgement and in 2005 was awarded $22,000 in damages. Federal Court Case No. CV 03-3238Z - Western Washington District Court Judge James Robart -- with legal judgement in April 22, 2005 for Magic Mike. The city of Seattle appealed, stating that the rules legally regulated the time, place, and manner of the performers. Berger's attorney, Elena Garella, asked the appeals court to reconsider this decision based on the strength Judge Benzon's opinion. Benzon's vote was in the minority on the 2 to 1 vote, but she wrote a 50 page opinion asserting the inexcusable right to free speech, particularly in public parks. A public memorial is scheduled for July 2, from 7 to 9 p.m. inside the Market's main arcade. Donations may be made to the Jim Hinde Memorial Fund, P.O. Box 21804, Seattle, WA 98111. The fund is to defray funeral costs, with remaining money to be given to veterans organizations. David Michaels was stopped from performing harp music on Seatlle boat ferries. the press. Below are links to some of the various newspaper articles etc. which contributed to an immense media storm...."
Portland, OR: SP. Mostly at Saturday market; need to be scheduled. One day in 1974 I was playing downtown in front of Oliver's Meats on lower Pike Street. A motorcycle cop came by and stopped, walking up to me with a business-like look on his face. He said, "You can't play here without a permit," and I said, "I'll go get one." "You can't," he said, "you're not blind," and he rode off into the traffic flow. I packed up and headed to City Hall to find out what he was talking about. The first step in this sort of thing, of course, is publicity. I went to the PI building (Seattle Post Intelligencer). In those days you could walk right in and go to whatever department you chose. I went to the news room to talk to Rick Anderson. Rick was a good guy (still is) and he gave me his full attention while I told my story. The piece that came out the next day was called A License For His Permit, a title based on a song I was singing at the time. I also spoke with the editor of the University Of Washington Daily, who was a friend of mine. So the press support was in place. Then I started having meetings with various politicians - city council members, etc. I even met with the mayor. Nobody had any objections to the idea so we arranged for an open city council meeting where the public could voice their opinions and then the council itself could decide. A date was set and I went to work on the publicity. A week or so before the meeting I made up a bunch of quarter-page fliers that said "Jim Page In Concert At the Seattle City Council Chambers..." with the time and date, and I put them up in the parts of town where I was known. When the day came I headed downtown. The place was packed. I sang my testimony - a song I had especially written called "Now's the Time For Talking." It was the Watergate era and the song was based on the idea that public singing was like public talking and we needed all of that we could get. Then other people began to speak and they were all positive - even the police. In fact, the only person who was against it was from - guess where - the Musicians Union. But he was basically ignored and the meeting rolled to a conclusion. And when the council reached their decision it was for a change in the law to allow street music of all kinds. No auditions and no permits. Just go out there and play. I have often thought that this would be much harder to do now. Seattle is a boomtown these days and big money likes to keep things orderly. Back then Seattle was unknown anywhere outside of the region and nobody really seemed to care too much one way or the other. There wasn't really much of an image to uphold. And so it was much easier for the people to have their way. I only hope that if some force ever decides to rescind that law, enough people will organize to keep it in place. We still need those streets to be open. And we still need that talk. Beginning in 1987, at the Waterfront Park, officers had begun rousting all performers and beggars along the pier, trying to use a 1987 ordinance against vending in a park. The officers said I could leave or they would confiscate all my equipment and money until the case was heard in court. I tried to get a license, but was told I by the City Engineer Department I could not have a street use permit. I tried to get a permit from the director of permits at Parks and Recreation. They denied me a permit. I tried to use their system but it wouldn't accept me. In the Spring of 1992, after five years of putting up with this, performing anyway and trying to dodge the police patrolling the pier, I went to the law library and saw that vendor laws didn't apply to street performers. I confronted the Chief of Police and his attorney, Leo Plotts. I said if the police tried to hassle me with a vending law I would take them to Federal Court for denying me my First Amendment rights to express myself in a public place. When I confronted the patrolman, Officer Miller, he told me he was being influenced by the Waterfront merchants who he said were paying him to keep the area clear of persons that were getting money. The merchants felt it was cutting into their daily till. I again called Mr. Plotts and they sent a Lt. Brown to the pier to make Officer Miller desist, after being hassled by him again, even though I told him of my agreement with his superiors. Officer Miller was transferred. 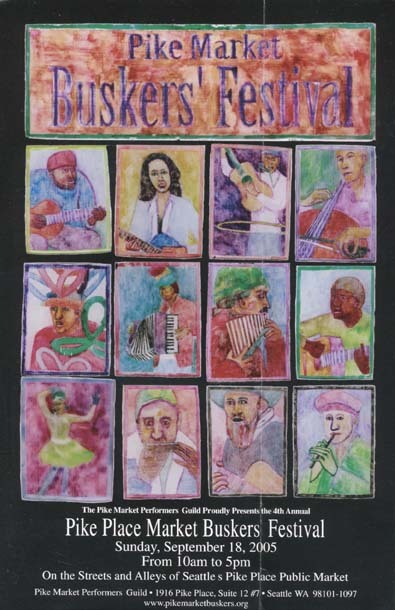 In the early 1990's Seattle Center began to treat all street performers who were busking with their hat out as vendors. They said we needed to have a permit to perform on the grounds. However, the permit was a contract issued by their Director of Contracts and Concessions. They wanted performers to set hours of operation from 11:00 AM to 6 PM, notify Seattle Center in advance if not coming, and a monthly fee of $300. A few performers agreed to this. I did not. Center security officers would try to chase me off for not having this permit. I made them call police, who informed them I didn't need to comply as I was performing for donations with my hat out. During this time a few balloon performers and face painters decided to get contracts with the Center, and began charging specific prices instead of voluntary donations. They became vendors. I was told by police many times over the years that I couldn't perform magic and balloon art for children and adults for donations unless I had a permit or license. After trying to get a license and permit and being denied, I went to the Law Library in the Seattle Courthouse and researched all Local, State, and Federal Laws about it. There were NO laws about street performing, and the one's against begging were for the First Amendment. I then went to the chief of police and his lawyer and threatened to take them to court if the police on the pier threatened me again with a vendor law. The officer on the pier wouldn't obey they order so they sent a Superior Officer to the pier to personally brief the officers, when I called the next time they disobeyed him. All was fine for a two years. Then at a festival at Seattle Center, they said all clowns and ballonists were venders and not performers. They even told people giving a Tarot reading on blankets to leave. A woman told me they took her cards away from her little six year old girl, who was playing with them, afraid she would give someone a reading. They did the same to many street performers that were not vendors, by "declaring" that they WERE vendors. I alone chose to rely on my knowledge of what was right and continued to perform. While being filmed for a TV news show, six police officers escorted me away, gave me a trespass ticket, and told me not to come back for a year. I came back the next day with a TV News crews walking behind me. We confronted the Festival manager, and the Seattle Center manager and I was reinstated, although others were not. At the Bite of Seattle, on the same grounds, 2 months later I was again confronted by the same officers, give a criminal trespass citation, and told to leave. The citations were never given my day in court by the prosecutor. I began to work as a subscription salesman for the local newspapers, and began to manage the contract as Sales Manager. When that contract was over, two years later, I went back to the pier to perform and two officers gave me a citation for soliciting in a park. Two months later they did it again. By Christmas I still had not heard from prosecutors, giving me my day in court. So, I filed papers on my own in Federal District Court naming the City and the police officers involved with violating my First Amendment Rights of Freedom Of Expression In a Public Place. They again didn't let it get into court, I settled for $7000 because I saw they had an out on a technicality, gave my attorney a third, and I gave $1000 to the Seattle Tibetan Sakya Monastery to help pay for their statue of a famous Buddhist Lama Magician who wrote The Tibetan Book Of The Dead and The Tibetan Book of The Great Liberation. The City of Issaquah did this to me also in 1993 and I did the same process. They settled for $1800 and my lawyer got a third and I donated $500 towards the Monastery's statue. The festivals in the cities of Kirkland and Edmonds tried to also have me cease, but wiser and kinder police officers said there was no law against performng for donations in a public place. In September and October 1995, while performing in Waterfront Park, upon instigation from Seattle Aquarium management, I was again confronted by police who said I had to have a permit. The police issued two more criminal citations, this time for soliciting in a park. The cases still were not called. In January I left for San Francisco and one of the cases was called for April 1st. My public defender asked them to drop the case. They refused, telling him they definitely wanted to try this case. When they found out I had flown back they dropped the case on Wednesday, then decided to call it on Friday for Monday's court hoping I had gone back. When I appeared in court they dropped the case. April Fools! I then found a lawyer, Peter Cogan, who would help me pro bono, and we filed 4 cases in Federal District court against the city and the police. The city settled for a total of $7000 on the 4 cases. Part of the settlement was that the City Attorney had to inform the police, the Seattle Center, the 3 Festivals, and Pike Place Market that performers asking for donations were not subject to vendor laws. CASE No. CV 03-3238Z filed in Seattle Federal District Court. A suit filed in Federal District Court this week charges Seattle Center with creating rules about street performers that are unconstitutional for a city park setting. Performers must wear photo ID's that is an invasion of privacy, the Center restricts free speech by content, and it restricts time and place in a situation that is not a pressing need. The rules are also arbitrarily enforced, according to the suit. If a performer wants to move under a tree's shelter in the rain or strong sunlight they are prohibited from doing so under threat of revocation of their permit and being trespassed from the grounds. If a woman or a minor performer doesn't want their name known, if they don't wear their badge, they are also under threat of revocation of their permit and being trespassed from the grounds. Performers may not perform before 11am or after 10pm even though the grounds are open other times to the public. No more than two people are allowed to work in a spot. Permits are only available to performers who can apply between 9am to 11am Monday-Friday. In order to get the permit you must agree to terms that are unconstitutional on public property. The suit was filed by Michael Berger, AKA Magic Mike. In 1996 he filed four Federal suits against the City. Seattle Center had police issue him trespass charges in 1993 for refusing to leave, after being told to stop making children balloon animals at Folklife and Bite of Seattle. Seattle Center prohibited about 2 dozen clowns, balloonists and face painters from suiting up that year during a crackdown on unlicensed vendors who sell trinkets on blankets during the festivals. They claimed that face painters gave out paint and balloonists gave out latex, thus wasn't performing. Magic Mike was the only one who felt he knew the law and he resisted. He was escorted into the police station and given a criminal trespass citation during Folklife, which was open to the public on public property. The city never brought the case to court. The same police trio, at the urging of Seattle Center, gave him a criminal trespass citation in July at the Bite of Seattle, even though he was performing in front of the Space Needle and not in the Bite. That same day they also arrested Greg, the one man band with wings, while he played the National Anthem, during the same Bite of Seattle and took him to jail in handcuffs, charging him with criminal trespass. In 1996 Magic Mike filed against the City in Federal District Court when attorney Peter Cogan agreed to take the cases on a pro bono basis. 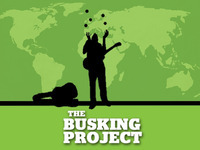 The City settled for $7000 and agreed to send a letter to Pike Place Market, Seattle Center, Folklife, Bite, Bumbershoot and the police that performers are not subject to vendor regulations even if in their performance they give something out or if they receive donations. The other two suits involved criminal citations he received at Waterfront Park in 1995 for performing in a park without a license or permit. He claimed none were needed. The City didn't call one case at all and dismissed charges on the second case. Attorney Peter Cogan filed in District Court again and the City settled with him on those also. In 2002 rumors of impending regulations began to circulate at the Seattle Center. On numerous occasions in 2002 he warned Seattle Center security personnel that he would take them to court if rules about performing locations and ID's were put into place on public property. He warned Mike Anderson in January 2003 that not only were the proposed rules unconstitutional, but that the rules might also break the good faith in the Federal mandated mediation settlement he had with the City from the two 1993 incidents against Seattle Center. He filed a Public Disclosure request on August 19, 2002 with the City Clerk and Seattle Center in order to get facts of impending rules. State law requires a response within days. They refused to comply. Six weeks later, after two calls to the city clerk threatening to cite the city for failure to respond, he received one unrelated document, a copy of the existing rules and not the proposed new rules or the request for property discription. When he obtained lawyer Elena Garella, she received over 500 pages in an identical disclosure request, about a couple hundred documents. The city is liable $5-$100 per document per day for failure to respond for the period of August 2002 to July 2003. The city had 60 days to respond to a claim for damages on the rules case also, to settle before it was to be filed in court, but they did not respond in any manner to that either. 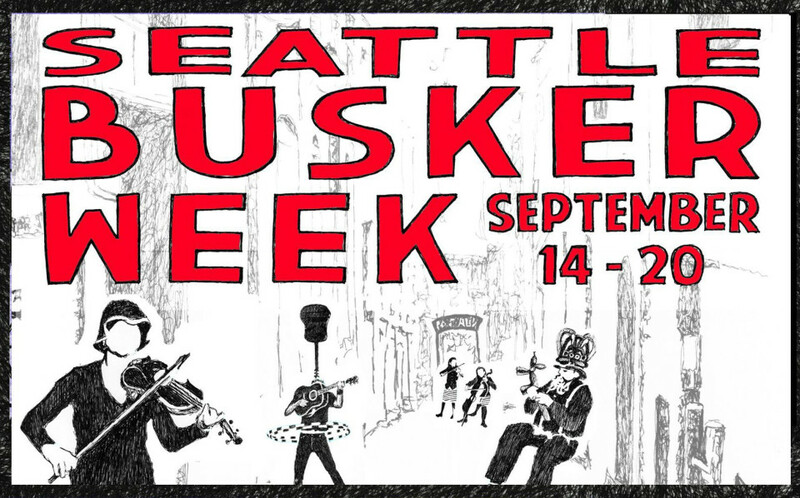 As a side note, in July of 2003 Joe Fulton, a violinist, was arrested and taken to jail in handcuffs for performing on the sidewalk during the Ballard Seafood Fest because the festival complained he wasn't an authorized vendor. In October his case was dismissed, the judge not happy with the charge, since he was performing and not vending and was on public property. He will also be taking the City to court for damages. 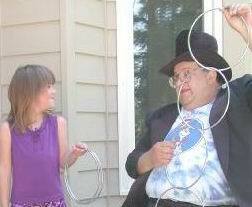 Magic Mike Berger, close-up, party magician and balloon animals for kids, adults, businesses in Greater Seattle. Magic Mike Berger is a magician for child and kid birthday parties, he also promotes reading. Call Magic Mike the magician for banquets, weddings, tradeshows sales meetings. Magic Mike Berger is a strolling magician for grand openings, special events. Magic Mike is a hit with all age groups. Affordable magic and balloon animal act any setting, any area in Seattle, Tacoma, Bellevue and Puget Sound. Learn Magic Mike's magic necktie trick. Magic Mike the magician has performed in the Seattle area since 1980. See web site for video and audio clips. Began playing guitar at 15. Went to New York in 1970, Seattle in '71. Changed street singing laws in '74. Went to Europe in '77, began touring and living abroad. Returned to Seattle in 1983 where he still lives. After seeing him perform at the High Sierra Music Festival in the summer of '97, Rob Bleetstein of Gavin wrote: "Jim Page is a lyrical genius with a guitar. This man personifies the word 'free-flow.' 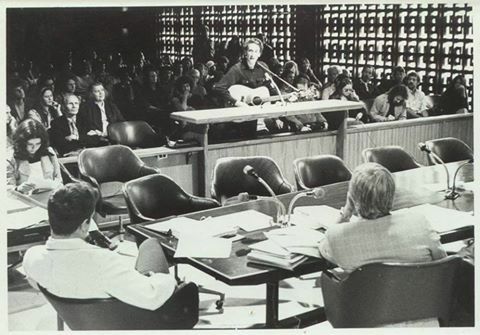 Page takes to the mic and the song invents itself on the spot; his talent is a natural wonder." Jim has been on the scene for more than twenty years and his reputation continues to grow. 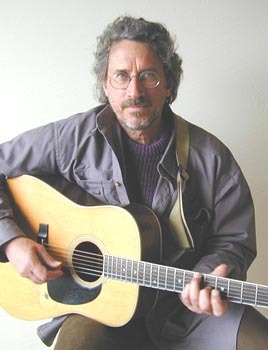 He has shared the stage with the likes of Bonnie Raitt, Emmylou Harris, Dan Bern, Michelle Shocked, Leftover Salmon, Mickey Hart, J.J. Cale, Robert Hunter, Chuck Brodsky, and John Hammond. His songs have been performed by Christy Moore, Michael Hedges, John Trudell, The Doobie Brothers, Joanne Rand, Casey Neill, and (yes) David Soul. Often cited for his biting political pieces he is in constant demand by the social movements of the day.